This week, we have done a lot of games. The first day we did an interview in the evening, after dinner. It was so cool because we didn´t know each other a lot and it helped us to get to know the others. The next day in the morning, we did a “name” game and it was so funny, because we didn´t know the names of the students. On thuesday we did a “name“ games too. However it was different than the other game. It was so funny too. The day, we did games on the beach, while we were doing the “intercultural picnic” . We hold our hands in an ”strange” order and then we had to seperate us without letting go our hands it was so funny and dificult. 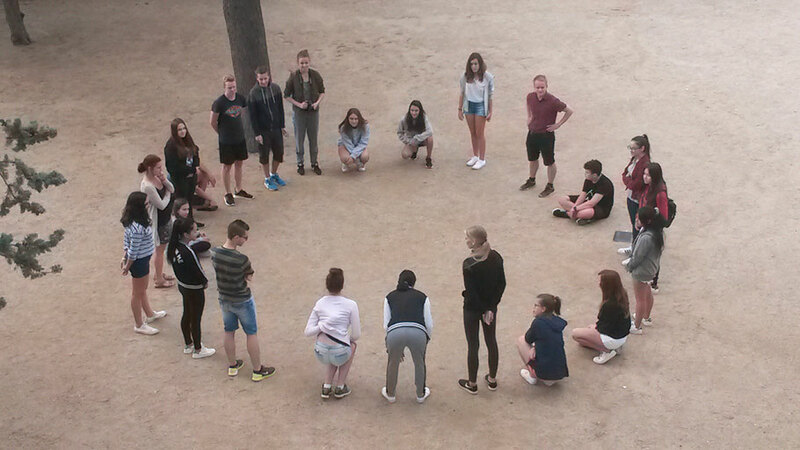 We did a lot of games (the body parts in german and spanish…) but we think this was the funniest games.